What is Hi Gloss Ultra Clear Epoxy? We discussed Laminating Epoxy and its 5 great key points about the product such as product comparisons, ratio, cure time, and activator results. If you haven’t had the opportunity to read our blog, (Click Here ). Now, let’s change gears slightly and talk about Hi Gloss Ultra Clear Epoxy. You may have noticed the Hi Gloss Ultra Clear Epoxy’s first appearance looks similar to Table Top Epoxy and after the cure process, both products obtain a clear result. With the noticeable similarities, we assure you there are also differences that make them stand out. For one, Hi Gloss Ultra Clear Epoxy works great for surfboards and casting because of it’s 2:1 ratio. In contrast, Table Top Epoxy requires a 1:1, thin pours of no more than 1/4 of an inch. This allows a perfect coating application not casting. Hi Gloss Ultra Clear Epoxy provides a clear gloss surface without the need to sand or buff. How is this possible? The results may sound similar to the Table Top Epoxy, however, the Hi Gloss Ultra Clear Epoxy cures to an almost clear finish all due to its zero UV additives. Because the product does not consist of any UV additives, your project will need to be clear coated after it has set up. With its 100% solids epoxy resin system, this product is designed for both laminating, casting and coating applications. It has a great easy wet out with a moderate gel time of 20 – 30 minutes at room temperature in a 1/2 pound mass. Tip: Cure may be accelerated by mild heat such as lamps or tunnel ovens. 1. We recommend cleaning rollers immediately after use. 2. Clean rollers with Acetone solvent, when using them with polyesters. 3. Clean rollers with T-12 solvent, when using them with epoxies. 4. Rolling the roller on the bottom of the solvent bucket is recommended, as that will clean the inside of the roller. 1. 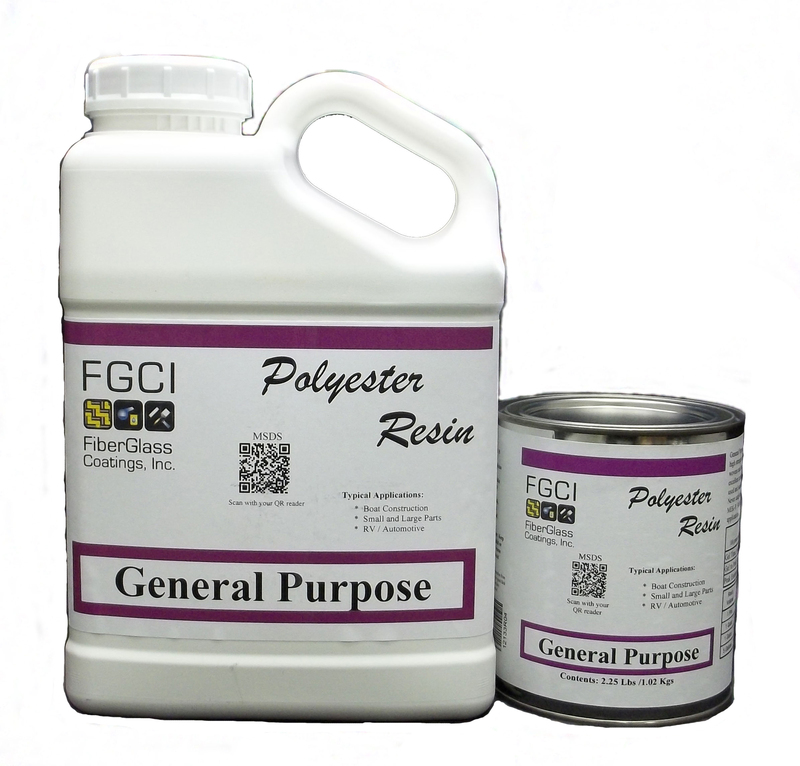 General purpose resin is excellent for laminating with fiberglass, kevlar and carbon reinforcements. 2. Pigment can be added to this resin, but the maximum is 3%. 3. The ideal temperature is at 77° F. Best results for this product can be obtained at temperatures between 70 and 85 degrees F, in a clean, dry, dust free environment. 4. The thinner the fiberglass, the less chemical reaction you will have. The thicker the fiberglass the less hardener you will need because you will generate more heat and have more chemical reaction, but never go below 1%. 5. To get a complete cure, you will need to add sanding aid to the resin or spray PVA over it, while it is still hot.